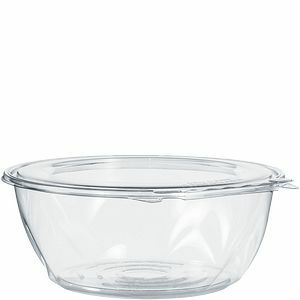 Ensure quality with new SafeSeal™ bowls! 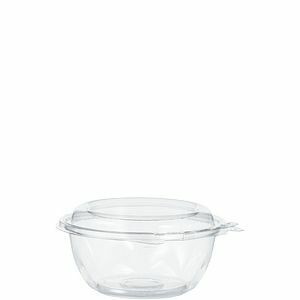 SafeSeal bowls are specifically designed to inhibit tampering, eliminating the need for shrink bands and wrap labels. 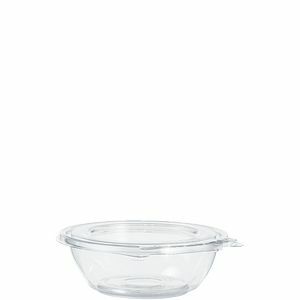 The MicroTrim Edge™ lid inhibits the ability to lift the lid from the base without tearing the hinge. 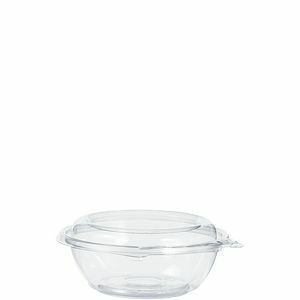 The TamperAlert Hinge™ protrudes outward when torn, and together with the "Do Not Purchase" message embossed on the lid, alert the customer that the container has been opened. 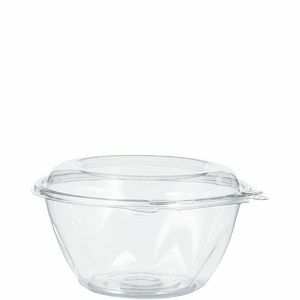 The hinge remains attached to the container, for no loose plastic pieces. 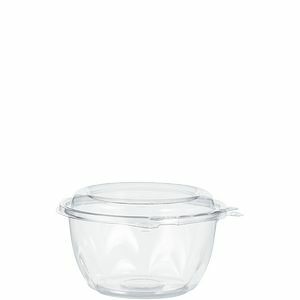 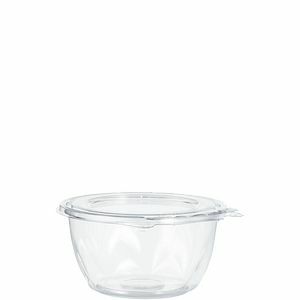 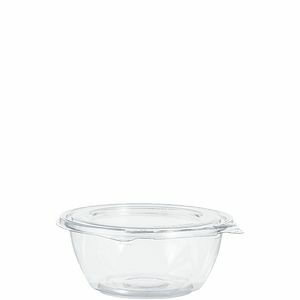 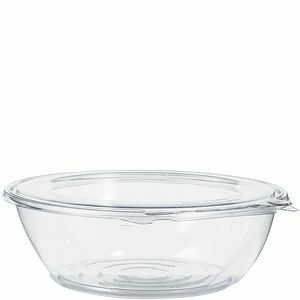 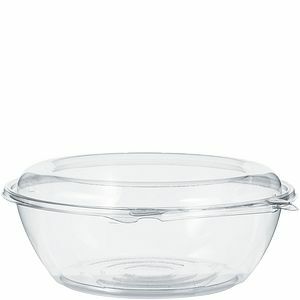 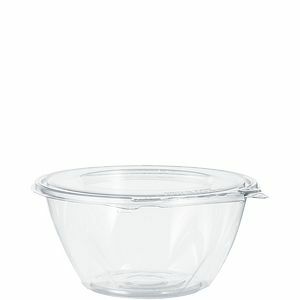 SafeSeal bowls function as an easy to re-close and re-open, leak resistant two piece container once the hinge is torn. 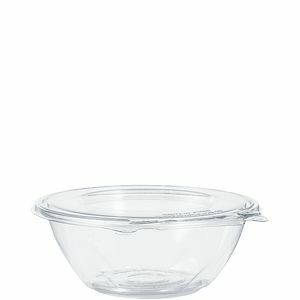 SafeSeal bowls have a 360 perimeter seal which preserves product freshness and prevents leaks and spills. 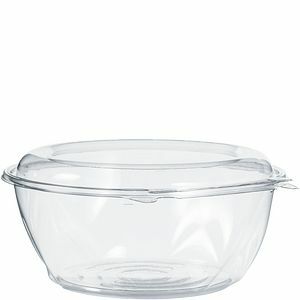 Made of PET, SafeSeal bowls have exceptional clarity and withstand temperatures down to -22°F.